pretty sure i know what/who the culprit is! 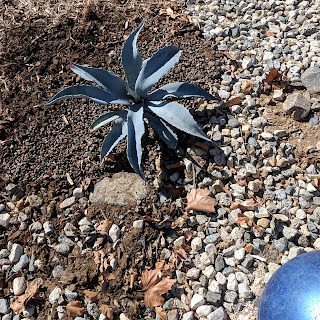 Since rot doesn't usually cause dirt to migrate into the center of the agave, it looks like the gophers are back. Sigh. The blue works well with the blue ball decoration and everything else. It's on a slope, so the rain shouldn't bother it too much. I will be upset if the gophers eat this one, although there's another pup safely protected from them. Any of those situations could have made for good "tell the truth tuesday" pictures, but sometimes cleaning up is the best part. Is it spring yet? Oh, poor sad ugly Agave victim. I'm glad you had that beautiful A. franzosinii specimen to replace it. me too! and thank you for reminding us to share the progress/areas that need help... it was actually a motivation to getting this fixed. I wonder which agave that was... Your replacement looks fitting with the pale blue. Cutting back grasses...wait a month or so! I keep reminding myself about NOT cutting things back yet... 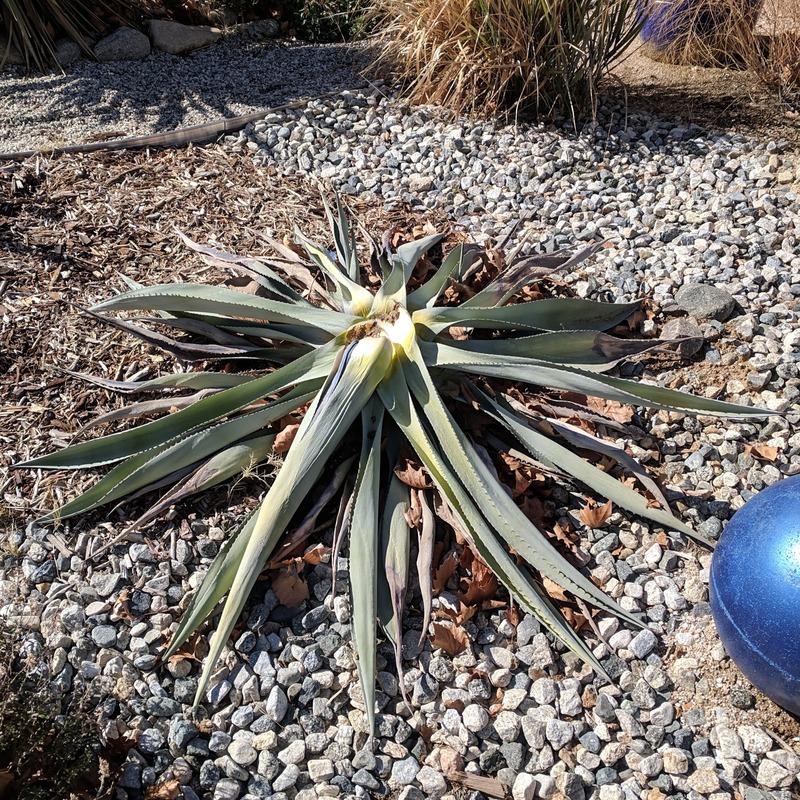 I think the other agave was just a no-name agave americana. 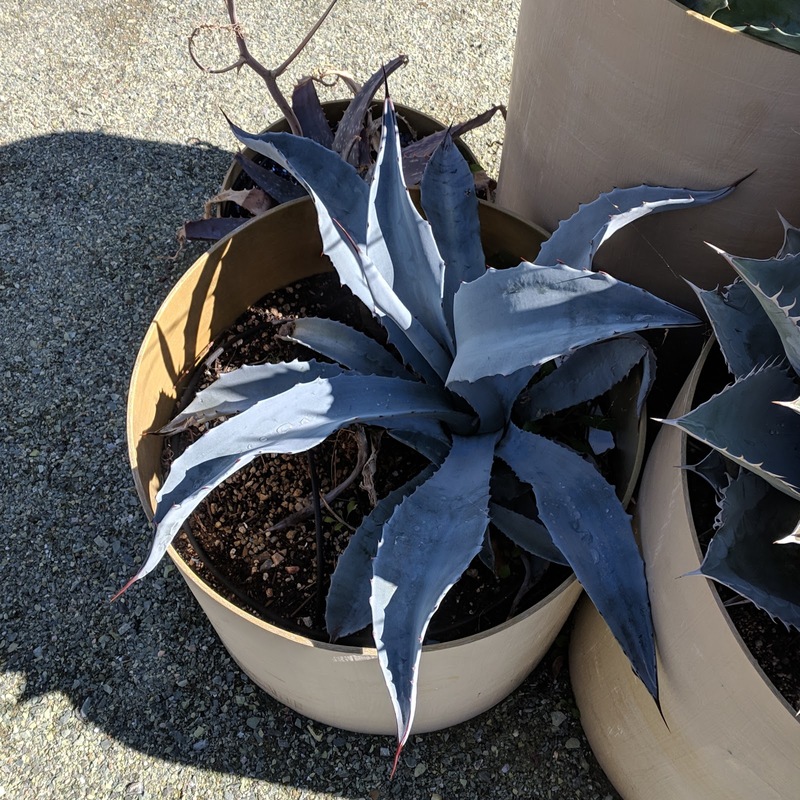 It came from one of our local nurseries which both doesn't sell a lot of agaves and doesn't label them. I'm not sure they realize they are in the desert! I'm so sorry you have gophers - and I'm so glad I don't. (The raccoons are bad enough.) My next-door neighbor has persistent problems with gophers, despite the fact that she and her roommate have 4 dogs and she regularly brings in gopher-buster services. I am glad you don't have gophers either! I should look into gopher busting services... maybe that will last longer than my trapping! Ugh, for a moment I was afraid you were going to say you had the dreaded Agave weevil. Now that would be bad news. I love the new franzosinii 'Lost Wax', gorgeous! Remind me what your pipes are made of? 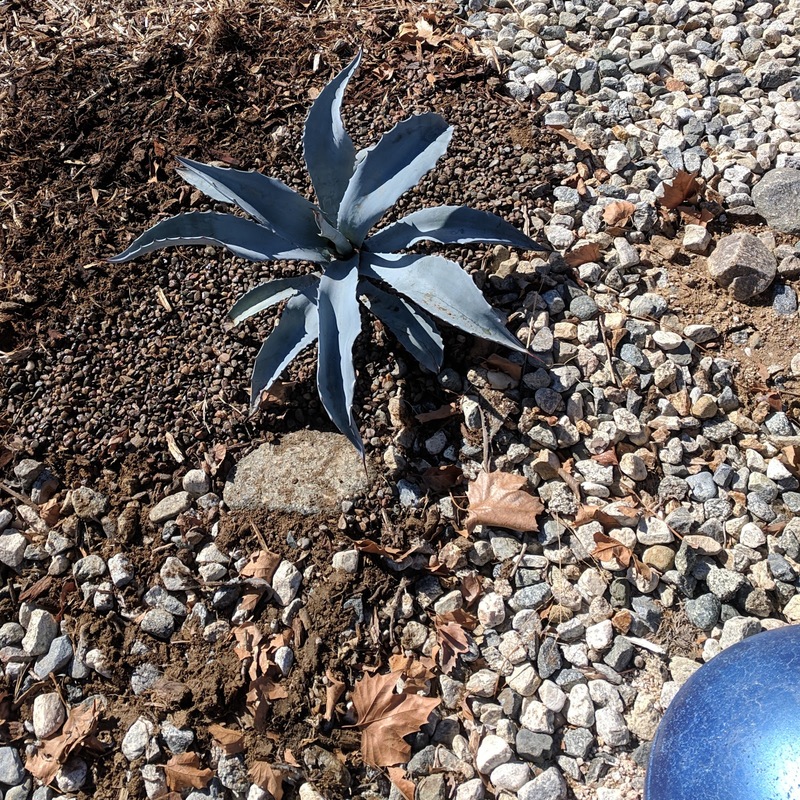 Sorry about your agave loss but your replacement is lovely. Hope the gophers leave this one alone! Well, this particular gopher won't be eating it, because the gopher is dead :) hopefully its relatives will learn! 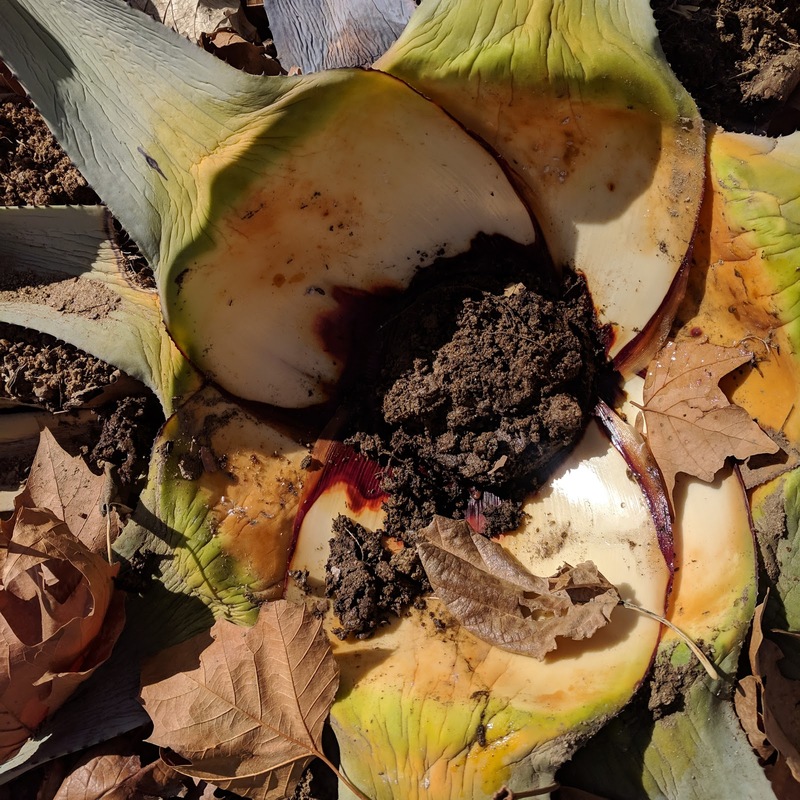 gophers attacking Agaves is just something I hadn't considered. I dare them to mess with an A. fransosinii though. they eat them up from the roots - they've done it to a yucca, several mangaves, and agaves. horrid creatures!